UPDATE: See here for final auction price. 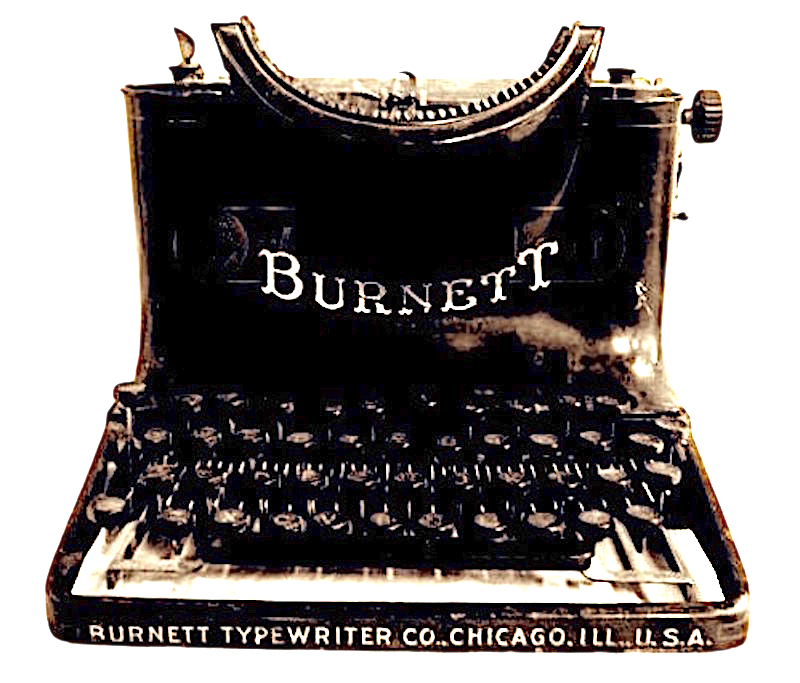 Bidding for this Burnett typewriter is hot, and for good reason. 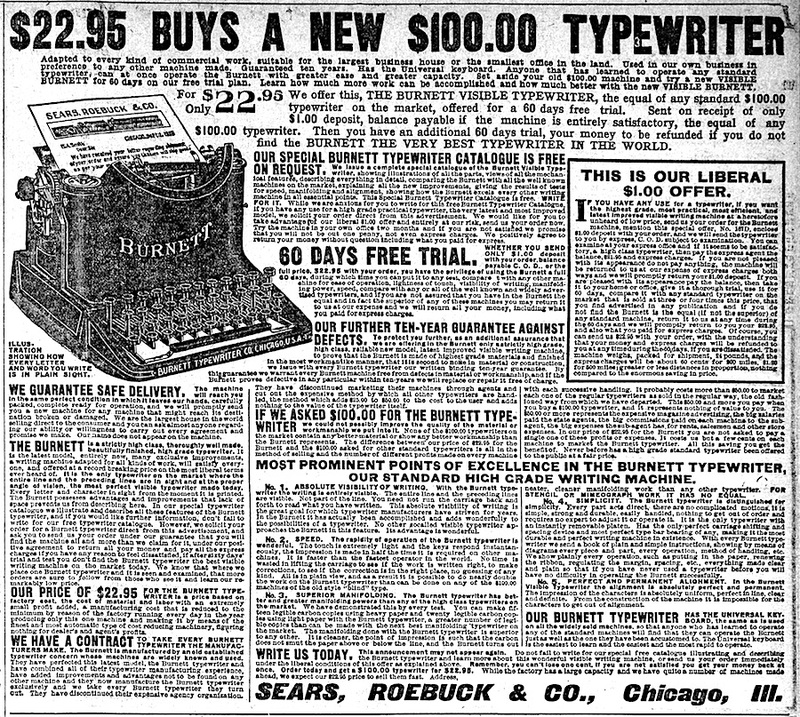 Thomas Russo values the Burnett at over $10,000 in Mechanical Typewriters: Their History, Value, and Legacy. At this writing, bidding has reached $6,001 at ShopGoodwill.com, a site not typically known for offering the very rarest of machines. What the next few hours bring will be of interest to collectors around the globe. Editorial note: Some collectors eschew publicizing active auctions, but I lean toward the free-dissemination-of-ideas side of the equation. My apologies otherwise.